Designed to withstand the rigors of daily use in commercial settings such as apartments, condos and resorts, the PGS T-series is engineered with strong, durable materials while featuring a simple design that is easy to use. 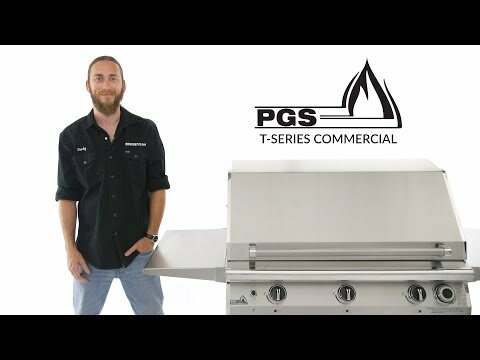 This PGS T30 cast aluminum grill features durable and permanent cast aluminum housing and a 30,000 BTU stainless steel dual-control H-shaped burner. 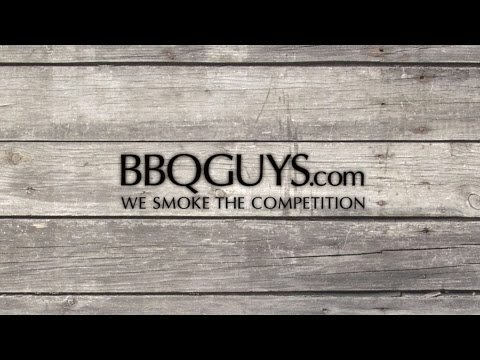 The Sure Start electronic ignition ensures that lighting your grill is a quick, safe, and easy process. The 1/4 inch stainless steel rod cooking grids, ceramic Moon Roks, and porcelain coated steel Moon Rok tray deliver even heat distribution across 330 square inches of main cooking area. The control panel features laser-etched instructions, anti-theft control knobs and a built-in one hour FuelStop gas flow timer. This T30 gas grill also includes one stainless steel side shelf, black powder coated aluminum pedestal, and black flat patio base. 20 5/8 X 16" 25 1/2 X 17" 25 1/2 X 17" 25 1/2 X 17"